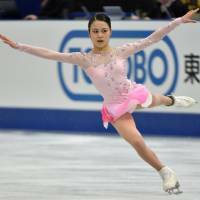 OSAKA - At an event that was massively overshadowed by the injury and subsequent withdrawal of Yuzuru Hanyu, something else was very apparent at the NHK Trophy: Satoko Miyahara’s bid to make Japan’s Olympic team for the Pyeongchang Games is in big trouble. That might be understating the case. On life support may be closer to the truth. The three-time national champion was on course to reach her first Olympics until being diagnosed with a hip fracture earlier this year. As her case illustrates, 11 months in skating can be an eternity. 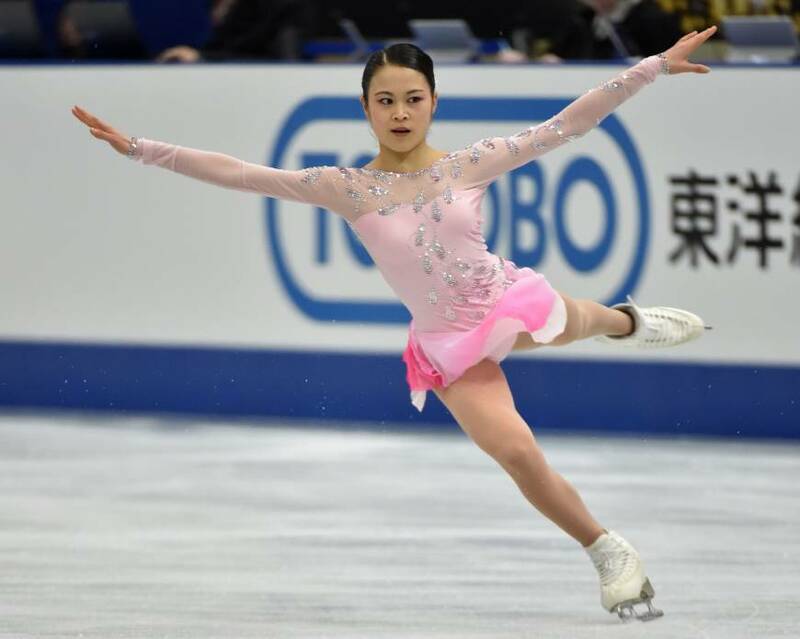 The 19-year-old Miyahara skated competitively for the first time since the Japan nationals last December and finished a disappointing fifth, nearly 33 points behind winner Evgenia Medvedeva. It was apparent from the short program that something just wasn’t right with the Kyoto native. She looked like a different skater than before the injury. When an athlete suffers a drop-off in performance, for whatever reason, it is very difficult to halt the slide, much less reverse it. 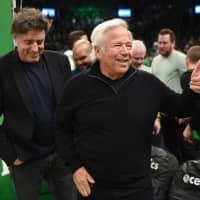 Whether it’s a pitcher losing speed on their fastball, a guard on their shooting range, or a running back with their elusiveness, often there is no turning back. 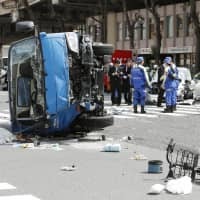 The initial sign of trouble this fall came back in early September when it was announced Miyahara would skip the Finlandia Trophy in the Challenger Series to save energy and prepare for the Grand Prix season. This move had trouble written all over it and indicated to me that something was not right. When excuses like these are given in sports, it is generally to conceal some other type of issue. So with this development Ice Time believes the frontrunners for the two women’s Olympic spots are now clearly Wakaba Higuchi and Mai Mihara. If Miyahara is out of the picture, then Marin Honda has an outside shot. Eurosport’s Mark Hanretty cited Miyahara’s physical makeup in his analysis of her short program, where she under-rotated the front end of her planned triple lutz/triple toe loop combo and doubled the back end. “She was advised by doctors that she had a bone density program,” Hanretty stated. “She was advised to gain weight, to gain eight pounds (3.6 kg) to help with that problem. Don’t know where that eight pounds has gone, she’s so tiny. “Her tiny, petite frame it allows her to look so beautiful and delicate and perfect in this ‘Memories of a Geisha’ program, but perhaps that’s what holds her back in strength and commitment. Hanretty did praise Miyahara’s program components. “The spins were brilliant,” he noted. “The step sequence was just brilliant choreography. Musicality perfect. Interpretation superb. Hanretty then stated the painfully obvious about the 2015 world silver medalist. Eurosport’s Simon Reed reiterated what many observers were feeling after watching it. Eurosport’s Chris Howarth believes that focus on improving her jumps may have resulted in Miyahara losing something in artistry. Howarth saluted Miyahara’s class nonetheless. Tara Lipinski, the 1998 Olympic champion, also cited the delayed start to Miyahara’s season as a red flag. “It just seems like it’s probably very hard for her to get this late start and get back on track,” Lipinski commented. “Doesn’t seem like the same Satoko to me. “Stylistically I have always loved her skating. There is something so soft and delicate about each movement that she makes. With that on the flipside you lose the power and strength to her skating. Lipinski identified an issue she saw as problematic for Miyahara. Three-time U.S. champion Johnny Weir, speaking on the Olympic Channel telecast, discussed how injuries can impact a skater after Miyahara’s free skate. Miyahara is a great champion and deserves the utmost respect. She is so dignified. I have never heard a negative word about her personally. She is universally liked and admired by her competitors. I’m sure she will go down fighting until the end, but time is running short. Rika Hongo placed seventh at the NHK Trophy after a fine short program to “O Fortuna” saw her in fourth place. Hongo also made an impression on the Olympic Channel’s Ryan Bradley. 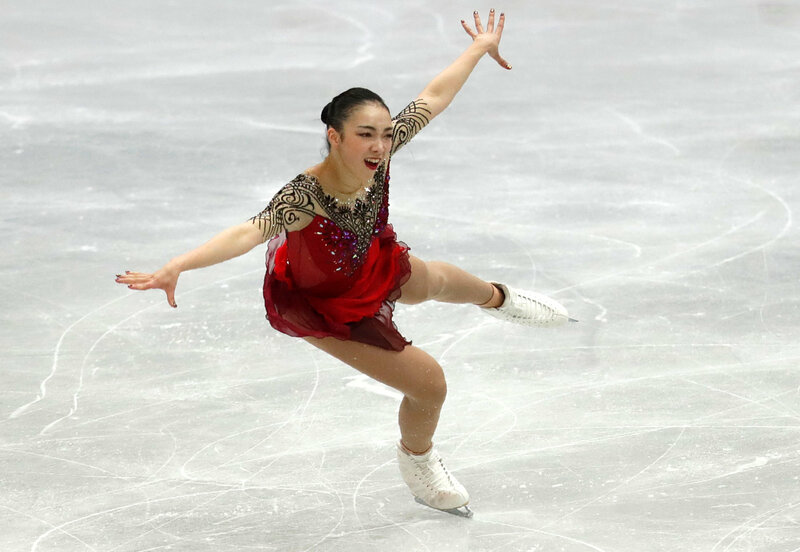 The free skate was a different story for the 21-year-old Hongo, where she under-rotated several jumps and had an edge call on another. In light of her latest performance, it is fair to say that Hongo’s shot at making the team for Pyeongchang is remote at best. Yuna Shiraiwa, a training partner of both Miyahara and Honda in coach Mie Hamada’s stable, made her senior GP debut at the NHK Trophy and placed a respectable eighth. The 15-year-old has had great success in her young career, placing fourth at the world junior championships in 2016 and fifth last season. Anybody who has watched her skate can see the great potential Shiraiwa has. Ice Time conducted an exclusive interview with the Kyoto native on Sunday that will be published sometime soon. The New York Times is working on a major profile of Hanyu to run shortly before the Pyeongchang Olympics. How serious is the NYT about their Hanyu piece? They have sent veteran writer Jere Longman to both the Cup of Russia and the NHK Trophy this season to see Hanyu compete. Longman was looking forward to watching Hanyu skate in Osaka, only to have him get injured in practice and be forced to withdraw. The Times has enjoyed renewed financial health in the past year following the election of Donald Trump as president, and now has more than 2.3 million digital subscribers. 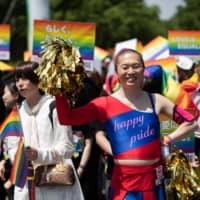 With Hanyu not skating competitively again until the nationals next month in Tokyo, you have to wonder if Longman will be returning to Japan to get another look at the superstar in action. The GP circuit moves to Grenoble, France, this week for the Internationaux de France. Mihara and Shiraiwa will represent Japan in the city that hosted the 1968 Winter Olympics. The strong women’s field will include Canada’s Kaetlyn Osmond, who finished second at the worlds last season and rising Russian star Alina Zagitova, who is the world junior champion. World silver medalist Shoma Uno will be the lone entrant for the Hinomaru in the men’s competition. Uno will be going up against two-time world champion Javier Fernandez and Sochi bronze medalist Denis Ten.